Fabric swatches can now be ordered from any product page. 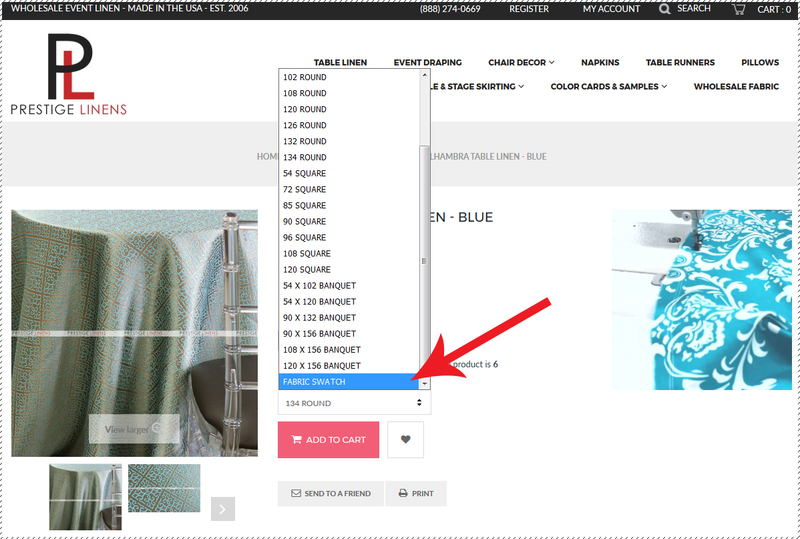 The 'Swatch' option can be found at the bottom of the sizing drop-down list on any product's page. Take a look at the screen shot below.